I received the black fringe cardigan from Macys and the amazing gold fringe necklace by Stella & Dot (as seen above) as gifts from my mom this Christmas and I cannot stop wearing/obsessing over them! Fringe is definitely in and it’s still popping up everywhere I turn…and I’m not complaining! I love how simply adding a touch of fringe can make an item go from cute (but fairly ordinary) to bohemian and a little edgy. I don’t know about you, but I’d certainly stop someone who was wearing any of these items and ask where they bought it! 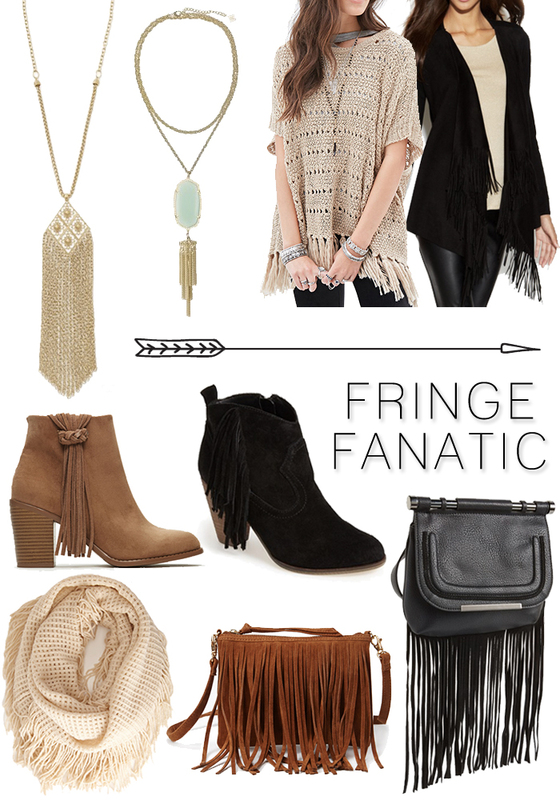 Are you having a fringe fanatic moment, too? Shop my picks by clicking the links above and the images below!